Spoiler Alert: There are key Star Wars plot points inside this piece. I shouldn’t need to warn anyone, as the original movies were all released 30+ years ago, so if you haven’t seen them and are shocked by any revelations here, that’s on you. 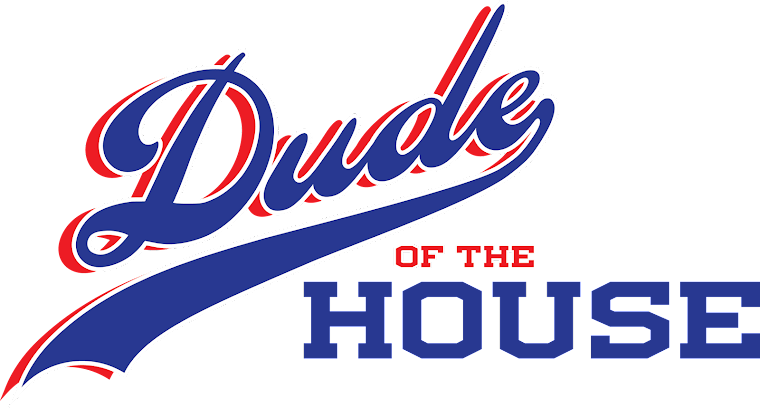 During both of Mrs. Dude’s pregnancies I received suggestions of must-read pregnancy and parenting books from more than a few people I knew and myriad more that I didn’t. I did explore a couple, partially to pacify those who had shared their recommendations and also, more frequently, to help me fall asleep on those I-can’t-freakin’-do-this pre-delivery sleepless nights. But there is another source of parenting tips I’ve reflected upon countless times over the last 5+ years since the Little Dude was born. And now, with Father’s Day once again upon us, I want to share with you some of the great parenting dos and don’ts I learned from one of the most infamous movie fathers of all time, Darth Vader. 1) Be present for, and with, your children: As Vader was pretty much a deadbeat dad, albeit for very atypical reasons, his son was lucky to have his old man’s former mentor (aka Obi-Wan Kenobi) looking out for him during his most impressionable period. Sure, being raised on a farm in Tatooine by his father’s stepbrother Owen was probably not nearly as exciting as a childhood spent roaming the Death Star, but Luke received a good education (also from Mr. Kenobi), had a large outdoor area for playtime and ultimately proved to be a high moral character Jedi…despite his father’s best/worst/completely nonexistent efforts. 2) Don’t give your kids trendy names: Luke & Leia were excellent choices given their time and place in history. Context and family history are important, but when selecting names for your children, consider that they are the ones who will have to live with them for the rest of their lives, and it’s got to be difficult to be taken seriously in a professional workplace with a first name like Boba, Qui-Gon or Jar Jar. 3) Support & encourage your children’s interests: Luke was a skilled farmer thanks to his uncle’s tutelage, but he always yearned for something more than a normal (i.e. boring) desert life. If not for Obi-Wan and Yoda, both of whom were contemporaries of Luke’s father, Luke might not have achieved his true destiny as a Jedi Knight. As it turned out, Luke was probably subconsciously hoping to earn his father’s respect, or at least attention, when he trained to become a skilled Lightsaber user. I doubt either of them anticipated how that one was going to turn out. If only Vader had used his Lightsaber for dental hygiene instead of evil. 4) Use Your Words: In both The Empire Strikes Back and Return of the Jedi, father and son Luke Skywalker and Darth Vader were brought together via one-on-one physical combat. They shared a common dearth of quality time together, so it might have behooved them and their nonexistent relationship to air their grievances (i.e. Luke about his abandonment and Vader over his son’s refusal to join the family business and join him over on the Dark Side). When children are not mature enough to fully express themselves as they wish, they often resort to hitting, hair pulling or other physical actions and reactions as a method of communicating a message or getting the response and/or attention they truly crave. “Use Your Words” is teaching them that verbal communication is a more effective method for earning a desired outcome. Had Vader been a stronger communicator with better grasp of his emotions, he might have been able to convince his son to join him in the family business. Does it matter that said business was less than legit? Not really, after all, family is family. 5) Don’t Be a Jerk: Vader sliced his son’s hand off with a Lightsaber AND THEN finally revealed that he was Luke’s father. It’s well known that children learn both positive and negative behaviors from observing their parents’ habits and actions. Vader shouldn’t have been surprised when after forcefully removing Luke’s limb in the heat of battle, that Luke returned a year later and did the same exact thing to him. Darth should have considered the Golden Rule: Do unto others as you’d have them do unto you, which Luke obviously took quite literally. All of the above being said, the Star Wars saga is about family, relationships and dealing with others you may not see eye to eye with. There will always be issues up for debate (maybe Luke should have listened to his father and joined the Dark Side, with the goal of turning everyone good again?) but maintaining open lines of communication can help clear murky things up. I haven’t shown the Star Wars films to my son yet, but I think he may soon be due. After all, I know I can hardly wait for Part VII, aka The Force Awakens, which will be released later this year, on December 18!. Maybe we’ll find out if Luke settled down and had a family of his own. I’m hoping he taught his own son a lesson or two, unlike his father ever did for him. Happy Father’s Day and May the Force be with you. Disclaimer: I wrote this post as part of my participation in the Fandango Family Digital Network. I was compensated accordingly, but all content and opinions contained within are mine entirely, for better or worse. Come hang with the FF team on Facebook, too. 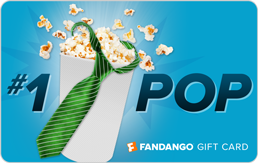 Want to take that special person in your life to see some movies, care of Fandango? Enter below for your chance to win a $100 Fandango Gift Card that you can use to take the fam to see something great this summer! You have up to 5 chances to enter and the entries will close Sunday, June 21, 2015 at 12:00am PST (midnight Saturday night/Sunday morning). See, Star Wars is perfect for EVERYTHING! Nicely done. So glad we changed our minds about naming our son Jar Jar. You forgot: Tell your children they're siblings before they fall in love. I've learned that being evil ages you prematurely, so I'm extra nice to my kids to ensure I don't gray early...damn! It didn't work! Who knew Star Wars could teach you so much about parenting! Good lessons all. It's good we rethought our choice of names. Everything I know about parenting I learned from Star Wars. Not really, but it could be awesome. Love the lessons. Well done.